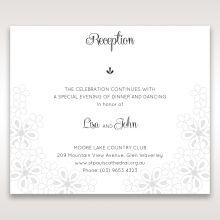 This is a lovely, romantic floral invitation that will capture your guest's hearts. 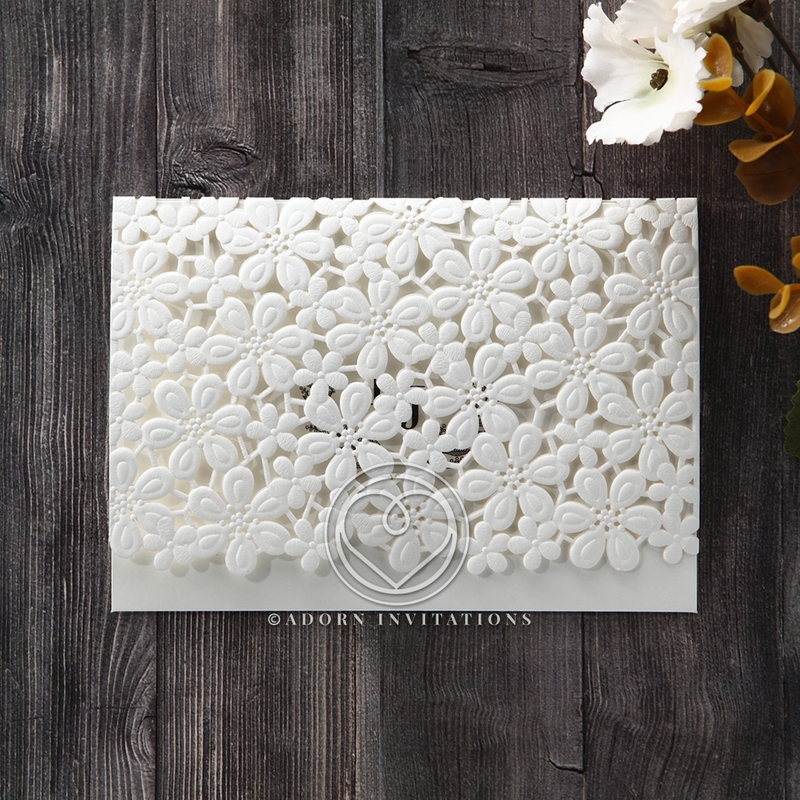 The fold over is fully laser cut into a floral pattern, and then embossed with intricate details. 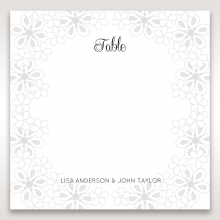 The invitation insert is made from matte, pure white, high quality paper and carries over the embossed patterns perfectly. 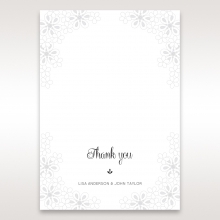 Peeking through the flowers is your monogram. 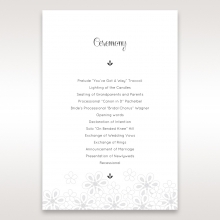 This trifold invitation opens fully to reveal your wedding details. 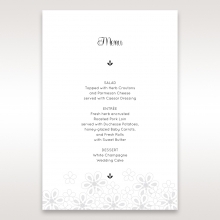 These details are fully customizable, and you can select the fonts and layout. 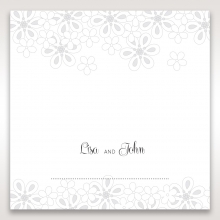 The matching Stationery Suite is shadow stamped with the same floral pattern found on the cover. This is an imported item, and the country of origin can be found on the back. 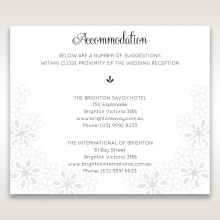 I loved the floral detail on the invitation., really amazing design. It looks just as beautiful when held physically as it looks on the website. 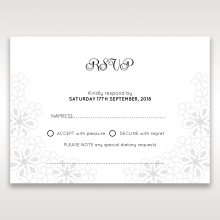 Really happy with the design and quality of the invitation. I like that it looks so elegant and yet simple. The service is also amazing and great communication in regards to the progress of my order. I certainly will be recommending to friends and family! 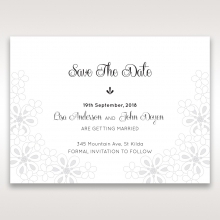 I got the sample of this invitation for my daughter's baptism and it did not disappoint like I expected; I got my first daughter baptism invitation and they were so beautiful that I'm back and about to place an order again! This is my second time ordering samples from this site and falling in love with their samples/products. 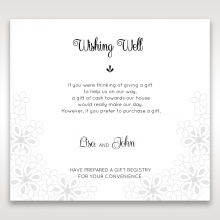 I ordered the invitations for my daughters baptism here and after receiving the samples I ordered the second time around, I'll be placing an order for my second daughter baptism again. 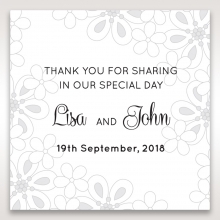 They're so elegant, unique and tasteful that I wouldn't consider going somewhere else.